Would you like to learn different ways to promote your art & design business online? For FREE! …you don’t have to spend a dime? All you have to do is to think creatively and think outside the square! And that’s you. You are the face and the brand behind your Art & Design. You are an artist, a designer, and an expert in Art & Design. SO we want you to be the leader in your creative filed. Who you are and how you express your Art & Design business will also make you stand out from the other artists and designers online. We want you to learn and leverage your expertise when promoting your Art & Design business. As you already know, the internet world is enormous to manage! There are billions of users out there and that’s why it’s hard to target everybody! What we want you to do is to focus on online marketing and your ideal audience. This means you are not after billions of people but just 1% of those billion users which is sufficient for you to start marketing your business on line.to. How do they buy online and offline? The more you understand your ideal audience the easier for you to promote your business online. This week we’ll talk about blog posting and how your business can gain great exposure online. The first thing we do as coaches is that we encourage our clients to have their say by posting blogs regularly. 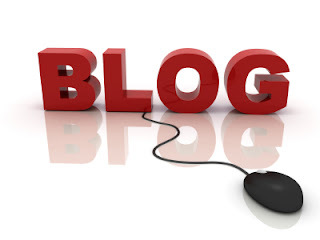 Blogging is a great starting platform for you to learn and have a taste of online marketing. This is the reason why we want you to be authentic and use your expertise in your field to attract your ideal audience. Blog about things your audience care about, and offer tips that they can apply to their personal and business life. You are already aware that your website plays a major role as a business card these days, having all the necessary information about you, what you do and how people can contact you. You just can’t stop there and expect people to find you online. You still need to work hard to drive traffic to your site and the challenging steps are…how do you talk directly to your ideal audience and attract them to your site? Have you ever wondered why your website has low incoming traffic or no traffic at all? Have you also wondered why other artists’ websites drive huge traffic and achieve great readership and sales? It doesn’t matter if you have the best website in the universe. If no one knew you existed then no one will find you online. The only time people do know you exist is when you start actively promoting your website regularly. This is how blog posting can help you get discovered for your website. Blogs can help you with Google ranking and can get you to the top of the Google page. To build up organically you need to blog regularly, ideally you should post one blog per week. I remember in my infancy stage of blogging I started to blog once a month and learnt and enjoyed the blogging process until I built my confidence with blogging. After three months I started to post 2 blogs per month, then 4 per month and now in my fourth year of blogging, I regularly post 5 posts per week. I now have over 500 blogs and have gained a readership of over ten thousand readers per month. What I have done here is to grow my online presence organically and made it search engine friendly for Google and other major search engines like Yahoo and Bing. What can I offer to an online audience? Why should my online audience come to my website? If you need help on how to start writing a successful blog, below are some of my previous posts that can help you understand the process of posting a blog and what type of articles to write. Next week part 2, we will talk about how guest posting can help your online presence. Want to learn more about how to gain your online presence? 3: Contact Vinh for a no cost, no obligation coaching session on 8060 9321, or 0410 636 138. Tips to Promote Your Art & Design Business Online… FREE!